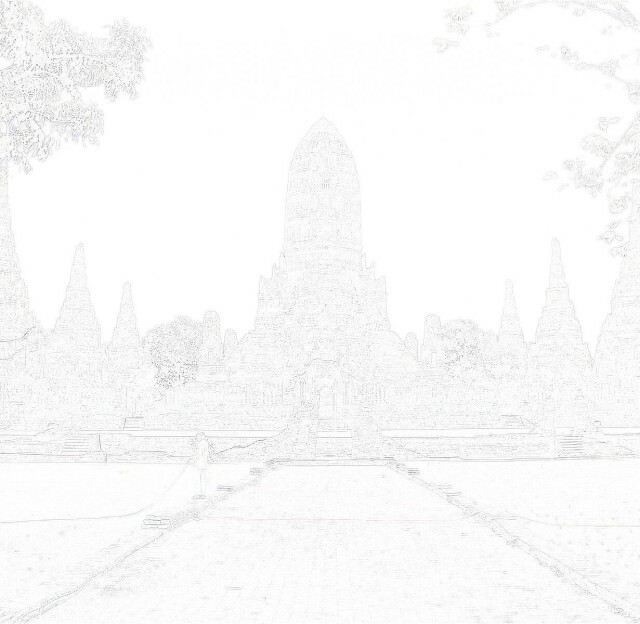 History of Ayutthaya - Geo - Canal - Khlong Hua ro Khlong Hantra or like Cushman  would translate, the "Canal of the Division of the Seal" flows through the sub-district of the same name (Tambon Han Tra) and formerly referred to as the Hantra Plains. 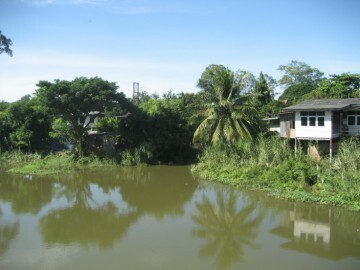 Khlong Hua Ro is situated off the city island in the northern area in Hua Ro sub-district. 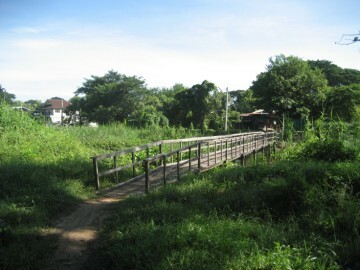 well as the eastern border of the Lum Phli and Khlong Sra Bua sub-districts. Wat Dao Khanong until Wat Muang (Bang Pahan district). Khuat, north of Wat Pom Raman. 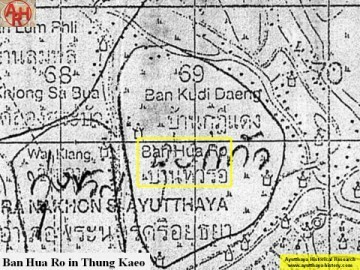 Hua Ro was situated in Thung Kaeo on the old Lopburi River's west bank (see map). fortress (were the present Hua Ro market is located). this bridge is a water gate blocking boat traffic further northwards. Yai, Wat Chumphon and Wat Tum. 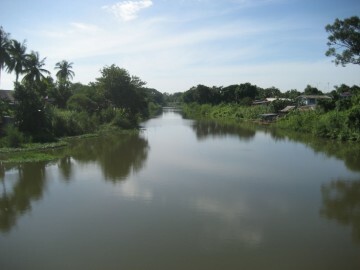 Two other canals run into Khlong Hua Ro, being Khlong Daeng and Khlong Sra Bua. 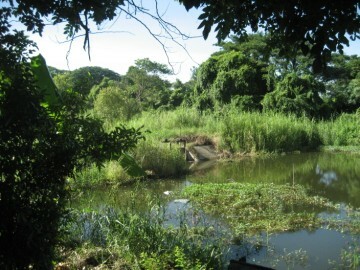 where in a short river descent the barges arrived at the elephant kraal.